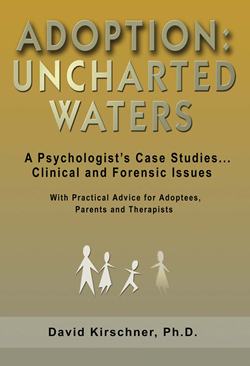 Adoption: Uncharted Waters is sold in book stores everywhere. If the store near you doesn't have the book, it can be ordered quickly, as it is distributed by Baker & Taylor. You can also order your copy through Amazon.com by clicking here. Or send a check payable to Juneau Press, LLC. New York residents please include $1.56 per book ordered which covers 8.25% sales tax.